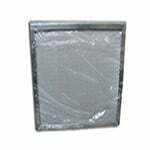 The FiltersFast Brand Trion 16x25x3 Air Bear MERV13 3-Pack is a compatible version of the genuine Trion Air Bear Media AC Filter 16x25x3, 255649-101. 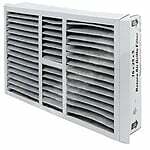 This Trion Air Bear Filter, also known as part number FFC16253TABM13 is the filter replacement for Trion Air Bear Cub Air Cleaner Systems. This replacement filter series has a MERV 13 efficiency rating and comes in a 3pk value set. The Trion Air Bear Cub Filter Replacement captures airborne pollutants like pet dander, smoke, mold, spores, dust and pollen as small as 1 micron. The 5 inch thick, extended-surface pleats have a higher dirt holding capacity that helps your purifier system operate with increased energy efficiency. 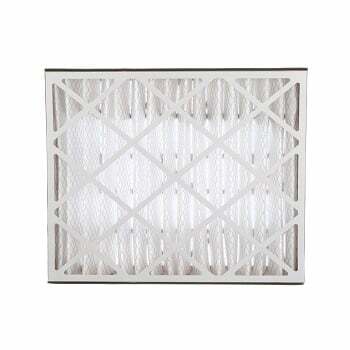 Actual size: 15 3/4" x 24 1/4" x 3"
Nominal Dimensions: 16" x 25" x 3"
The Trion 16x25x3 Air Bear Filter Replacement fits the following air purification systems: Trion Air Bear Trim Air Cleaner, Trion Air Bear Cub, Trion Air Cleaner Model 455602-425, Trion Model 255649-101, Trion Model 229990-001, Trion Model 229990-101, Trion Model 248713-101 and Lennox Model BMAC-12C. For optimum performance of your Trion Air Bear Cub Air Cleaner, change your Air Bear Filter every 6 months to 12 months depending on usage and air quality. 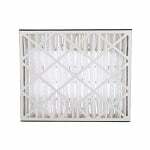 Installation of this non-woven Air Bear filter is quick and easy.